Musician Gordon Downie performs during Day 3 of the Coachella Valley Music & Arts Festival 2011 held at the Empire Polo Club on April 17, 2011 in Indio, California. Downie died at age 53 on Tuesday. 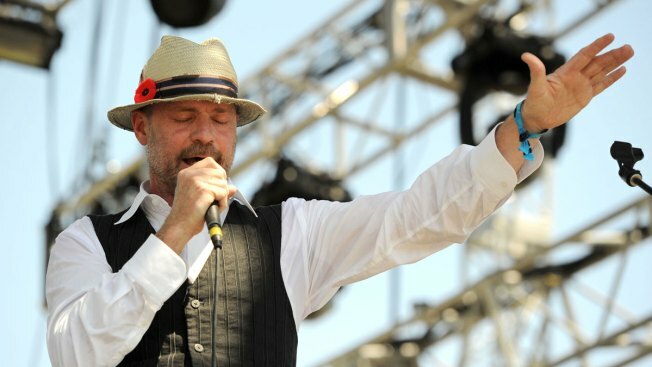 Gord Downie, who made himself part of Canada's national identity with songs about hockey and small towns as lead singer and songwriter of iconic rock band The Tragically Hip, has died at age 53 after a battle with brain cancer. "There will never be another one like you, Gord, Rest in peace my friend," Canadian Prime Minister Justin Trudeau tweeted. Downie also produced three solo albums since 2001, as well as a collaboration with fellow Canadian indie darlings The Sadies. Downie is survived by his wife and four children.